Do you have to be psychic to read Tarot cards? And what does ‘being psychic’ mean, anyway? In the first of her two intermediate Tarot classes Katrina Wynne addresses these issues. 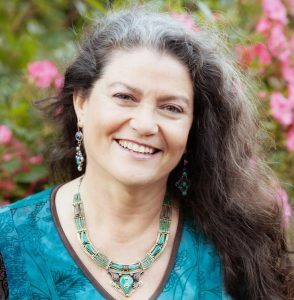 She looks at how we can recognise and develop our intuitive gifts and skills and how we can use our innate abilities in the context of a whole range of psychic modalities, with a particular emphasis on reading tarot cards. The second class focuses on techniques for telling the story that comes out through the cards clients select during readings. She discusses reading styles, provides examples of commonly used spreads and suggests ways to choose the most appropriate spread for typical issues or questions. After watching these two classes, doing the exercises and meditations designed to help you develop your intuitive skills, you’ll feel much more confident about your ability to convey the message coming through the cards that clients select. The price includes copies of all the presentation slides and a number of other handouts.